How comfy we are all in the United States, as we engage in living-room debates about the US occupation of Iraq, whether “we” are bringing them freedom and whether their freedom is really worth the sacrifice of so many of our men and women. We talk about whether war aims have really been achieved, how to exit gracefully, or whether we need a hyper-surge to finish this whole business once and for all. But there’s one thing Americans don’t talk about: the lives of Iraqis, or, rather, the deaths of Iraqis. It’s interesting because we live in an age of extreme multiculturalism and global concern. We adore international aid workers, go on mission trips abroad, weep for the plight of those suffering from hunger and disease, volunteer in efforts to bring plumbing to Ecuador, mosquito nets to Rwanda, clean water to Malawi, human rights to Togo, and medicine to Bangladesh. He’s a man who knows something about the dangers of mixing religious fervor, war, and the crusading spirit, a subject he dealt with eloquently in his book Constantine’s Sword: The Church and the Jews. A former Catholic priest turned anti-war activist in the Vietnam era, James Carroll also wrote a moving memoir about his relationship to his father, the founding director of the Pentagon’s Defense Intelligence Agency. Carroll essentially grew up in that five-sided monument to American imperial power. For him, as a boy, the Pentagon was “the largest playhouse in the world” and he can still remember sliding down its ramps in his stocking feet, as he’s written in the introduction to his recent, magisterial history of that building and the institution it holds, House of War. Will someone please ask her to stop coming up with health plans even worse than our current dysfuntional mess? WASHINGTON – Democrat Hillary Rodham Clinton said Tuesday that a mandate requiring every American to purchase health insurance was the only way to achieve universal health care but she rejected the notion of punitive measures to force individuals into the health care system. She said she could envision a day when “you have to show proof to your employer that you’re insured as a part of the job interview — like when your kid goes to school and has to show proof of vaccination,” but said such details would be worked out through negotiations with Congress. Dodd, Leahy reintroduce Habeas Corpus Restoration Act. Learn more about restoring habeas here. 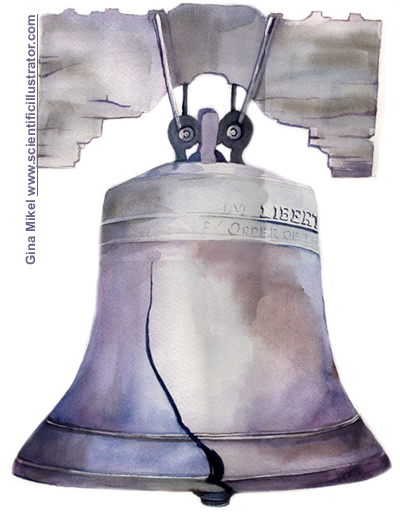 Our ‘Liberty’ Bells are Clanging Loudly!! Stolen Votes, Lost Freedoms, Swindled Economy and a Hijacked Nation! According to the truth, the American vote has been stolen not once, but twice by the Criminals in Office now. Here’s what has happened since.. They have divided us and spent our wealth on their agenda and wars..
What more proof do you need to know to try them for Treason against the Republic ? How many more smoking guns do you need ? Do you need the mushroom cloud to believe ? HERE LOOK AGAIN AT AMERICA —> LOOK AT THE LAND OF THE FREE AND HOME OF THE BRAVE! 09/17/07 “ICH” — — When I was in the Reagan administration, America had a lively press that never hesitated to take us to task. Even the “Teflon President” received more brickbats than Bush and Cheney.